Food the way it should be — fresh, healthy, local and chemical-free! 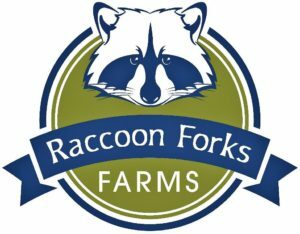 Raccoon Forks Farms produces locally grown, chemical-free food by practicing sustainable farming and animal husbandry at two farm sites, in Redfield (est. 2009) and Runnells (est. 2014). We raise and produce a diverse range of products, including: brown eggs, broiler chickens and stewing hens, a wide variety of vegetables, a small but growing variety of fruits, Great Pyrenees puppies, soap made with our own eggs, and decorative and household items made from reclaimed wood. We sell our products through several venues, including our CSA (Community Supported Agriculture) program. We take pride in using sustainable farming practices. We don't use chemicals at the Farms, and antibiotics are used only if an animal is ill. (Sick chickens go to the Farms' chicken infirmaries to recover – better for them, and better for the rest of the flocks, too!). We compost, reuse and recycle just about everything. 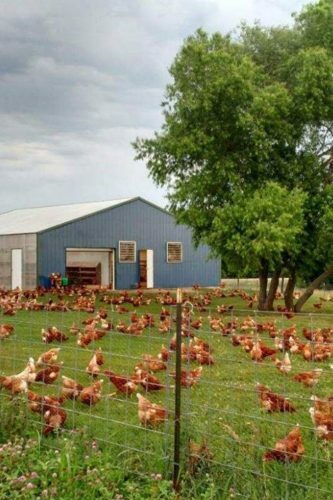 Our chickens are pastured and cage-free. At night, they choose their own roosting spots inside large barns and sheds, where they are protected from predators. They roam free during the day within large, fenced-in pastures, eating insects, taking dust baths, and living comfortable, natural lives. Great Pyrenees dogs guard the chickens and our other animals. As a Raccoon Forks microbusiness, Raccoon Forks Farms provides job opportunities to individuals with disabilities and other barriers to employment. Employees at Raccoon Forks Farms receive one-on-one job coaching and the support they need to build skills and be successful on the job.